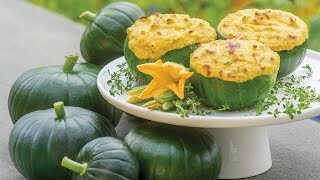 Bright golden color and a delicious, distinctive zucchini flavor. Fruits are medium-long, slender and cylindrical in shape. Bright golden color and a delicious, distinctive zucchini flavor. Garden Hints: Fruits are best when 6 to 8" long. Cultivate or mulch to control weeds. Fertilize when fruits form to increase yield. Squash, Summer, Burpee Golden Zucchini is rated 4.3 out of 5 by 12. Rated 5 out of 5 by Dave N from Golden Zucchini First time trying this variety this summer and did well. We liked the flavor and tenderness compared to the green varieties. Nice to add color to our vegetable dishes as my wife says! Rated 5 out of 5 by RMR3 from Easily my favorite zucchini The golden has a finer, more delicate flavor relative to other zucchinis, that matches it's brighter color. This makes it preferable and attractive when sliced fresh in garden salads or cut into chunks for a subtle presence in sauces. Rated 5 out of 5 by CAROL A from Grows great, every year in Northwestern Wisconsin This is our favorite zucchini. Grows well here in Northwestern Wisconsin. Will continue to buy these great seeds. Rated 1 out of 5 by BummedOut from Sterile Seeds, Never Sprouted Indoors Got burned in 2015 with sterile Burpee green zucchini seeds which never sprouted after 30 days. Lost a huge portion of harvest period. Bought 2016 Yellow & Green Zucchini seeds and performed a PRE-SEASON germination test of these seeds to make sure they would sprout. After 14 days indoors they failed to sprout. I dug up the seeds, cut them open lengthwise and there was absolutely no growth of the seed germ. I'm all through with buying Burpee seeds from now on. Rated 5 out of 5 by LChevele from HUGE Golden Zucchini We planted these seeds in the ground.. with little to no furtilizer.. June 1 and we picked them AUug 27. I have never had any plant grow so large.. excellent harvest this year.. along with our cucumbers.. Rated 5 out of 5 by 2fertile from Godzilla squash I have not been a consistent gardner but have some experience; probably inherited from my grandfather, who could grow giant tomatoes in concrete!!! My nickname suggest that I go too "hog wild" with the nutritional contribution for my plants. This produces great plants and little fruit. However, I am learning as I go. My garden this year was "Godzilla" inspired by my 9 year old grandson and he was not disappointed in the Summer Squash. it had gotten 2 feet long before I realized that the little green remaining did not mean "let it grow a bit more". I finally read the instructions on the packet, normal for me in most projects, and realized that smaller is better. I planted three seeds and not unlike other reviews, found them taking over the rest of my 10 x 12 foot raised bed. I am cooking up a batch now and beginning to pick them early, as directed. This was a good experience. Rated 5 out of 5 by Kendra from WOW! These were very mild and mellow tasting. They plants got HUGE and the veggies got even bigger! They would sprout and be huge within days of noticing they were starting out. As long as the plant grows, you really only need one plant for a small family, otherwise you'll have too many to know what to do with. Rated 5 out of 5 by Chukli from NEVER AGAIN until bigger garden!!! My first year planting and the only things that were successful out of all the seedlings were: hot peppers, tomatoes, and yellow zucchini. Not knowing what my first results were going to be, I transported about 12 stems (from seedlings) to an area of 3 x 5 feet...what a mistake!!! At first (June 2008) it showed little progress; then the plant leaf stem/or arm started growing at an alarming rate, getting as long as 2-3 feet in length with enormous leaves. Then around July, these -yellow looking- thick baby zucchini's started to emerge. 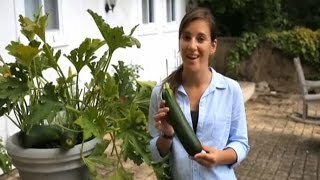 By August to late September, we grew so many zucchini's it took up most of my little garden; so many were produced that we were forced to give a lot away to friends and family. It was most remarkable, I felt proud. The taste was sweet, the color bright yellow, healthy texture feel, and large in size. I would HIGHLY recommend this to any first time gardener; just please get a bigger plot than 3 x 5 feet (as this is not enough for even 5 plants). One more thing, if you think harvesting or pulling 5 zucchini's at once will reduce your quantity, you're wrong...10 more healthy zucchini's will replace those five you pulled. Ensure a good fertilizer -with miracle grow- is used (I usually mix 50% natural dirt with 50% fertilizer).